Alexander Construction was founded by Ralph Alexander, who started the company in 1947 using an army gratuity he received on his return from World War II. Ralph had served as an infantryman in the Western Desert and had twice been made a Prisoner of War (he escaped both times). He returned to New Zealand and was discharged in 1944. The company started it’s life rather frugally, with just the one custom made cut-down car and trailer to transport the building materials to site and with Ralph running the carpentry and joinery shop from the family home in Georges Drive. In 1949 Ralph was joined by his younger brother Cedric, resulting in the formation of RG & C Alexander Ltd. Rapid expansion within the city of Napier meant new housing developments were needed and by 1963 demand, driven by the housing shortage and a lucrative contract for the Government Group Housing Scheme, saw RG & C Alexander further expand their operations. The company also became involved with the building of sewerage and storm water pumping stations for the Napier City Council. Education and commercial construction began to feature prominently in the company’s portfolio as well as several high profile industrial buildings – the most noteworthy of these being the Weldwell Electrode Factory. The company’s diverse commercial work included the Muddy Creek Diversion (a landmark project undertaken to prevent flooding in the Ngaruroro River area) and the raising of the roof on the Hawke’s Bay Motor Company. Unique challenges were posed by the construction of the 1,200m2 three level structure (now the front of the Civic Court Mall) with both lower floors remaining occupied while work went on above. 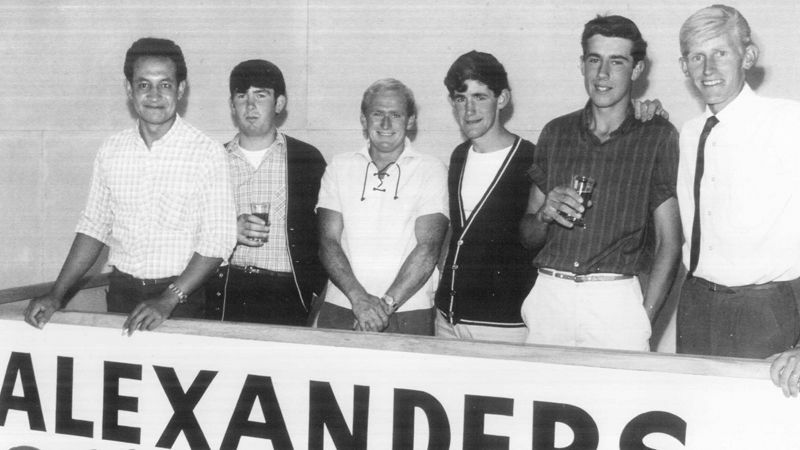 In 1984 Ralph retired as General Manager of RG & C Alexander and the new company of Alexander Construction (HB) Ltd was formed under the management of Ralph’s son Chris Alexander. Tragically, Chris died in 1993, and for the first time the day-to-day management of the company was transferred to someone outside the family. 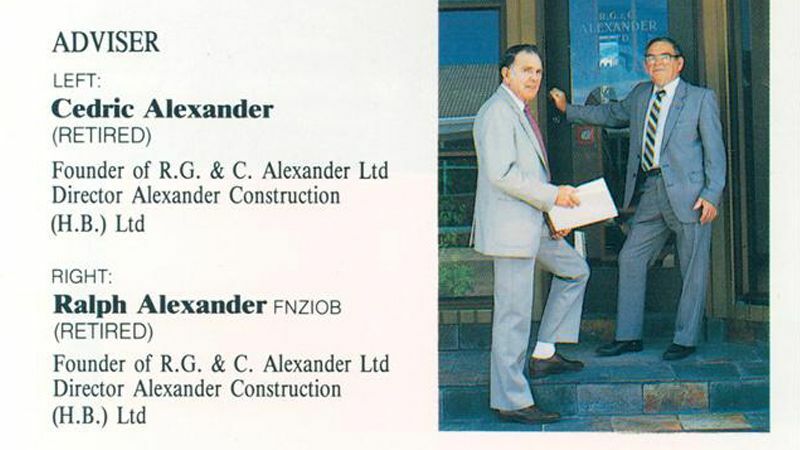 In 2002 Mark Hamilton was offered the opportunity to become director and major shareholder of the company and the Alexander family, reflecting on 57 years in Alexander Construction, elected to lessen their involvement in the business.